According to the party, several candidates have staked their claim to contest the elections this time. 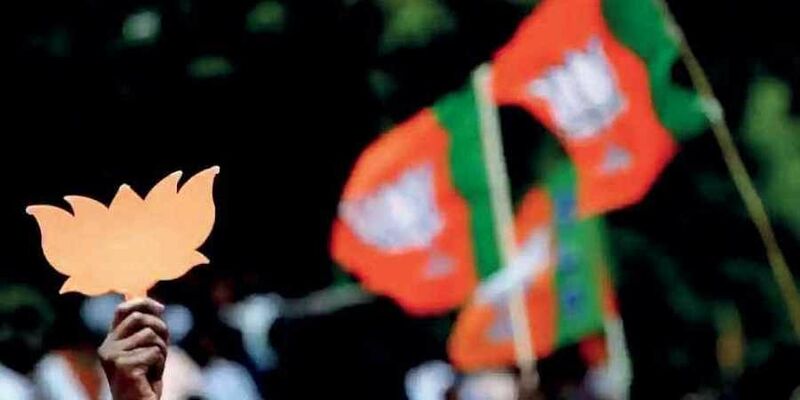 JAIPUR: A surge in the number of ticket aspirants has forced the BJP to delay its second list of candidates for the remaining nine parliamentary seats in Rajasthan ahead of the Lok Sabha polls. The party had in its first list on March 23 declared 16 candidates of the total 25 parliamentary seats, but is yet to declare its nominees for Churu, Barmer, Alwar, Bharatpur, Karauli-Dholpur, Rajsamand, Nagaur, Dausa and Banswara seats. Except Dausa and Alwar, the BJP has its sitting MPs on rest of the seven seats. Dausa seat was vacated by BJP MP Harish Meena after being elected as a legislator on a Congress ticket. Alwar is being represented by Congress leader Karan Singh Yadav. For the Dausa seat, BJP Rajya Sabha MP Kirodi Lal Meena's wife Golma Devi and his brother Jagmohan Meena are the top contenders. Erstwhile royal family member Diya Kumari and Kiran Maheswari are in race for Rajsamand seat after BJP sitting MP Hariom Singh declared not to contest the polls. BJP MP Colonel Sona Ram Chaudhary, who lost the assembly election recently, has again staked claim on Barmer seat, whereas the name of IPS officer Mahendra Chaudhary is also doing the rounds for the seat. The situation in other seats is also similar with many aspirants vying for BJP tickets to contest the crucial general elections. Those who found their names in the BJP's first list have close connections with Prime Minister Narendra Modi, party chief Amit Shah or a strong RSS background. Despite protests at local level, the party gave ticket to sitting MP Arjun Ram Meghwal from Bikaner and Ramcharan Bohra from Jaipur Urban seat. The party sources, however, said the candidates of the remaining nine seats will be soon announced following BJP's core committee meeting in New Delhi on Monday. Rajasthan goes to polls on April 29 and May 6.